Visit a land you’ve never seen. Meet people you’ve never known. Discover something new and beautiful about the world, its diversity, its ancient lands and hidden cultures. 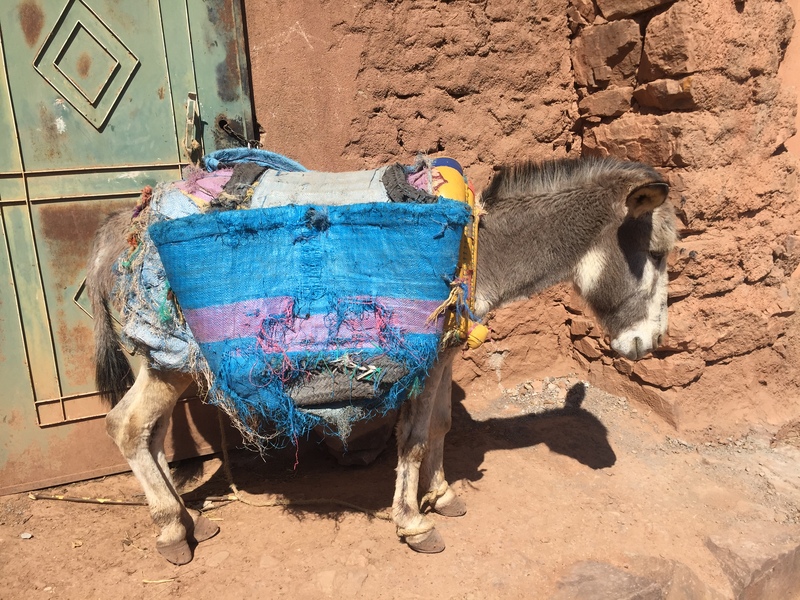 With Fit 4 Adventure in Morocco, it’s not about leaving your comfort zone. It’s about finding comfort in unexpected ways and places. It’s about feeling alive and greeting each day as a gift that will deliver new and exotic experiences that will stay with you a lifetime. Come open to adventure and you will leave enriched. 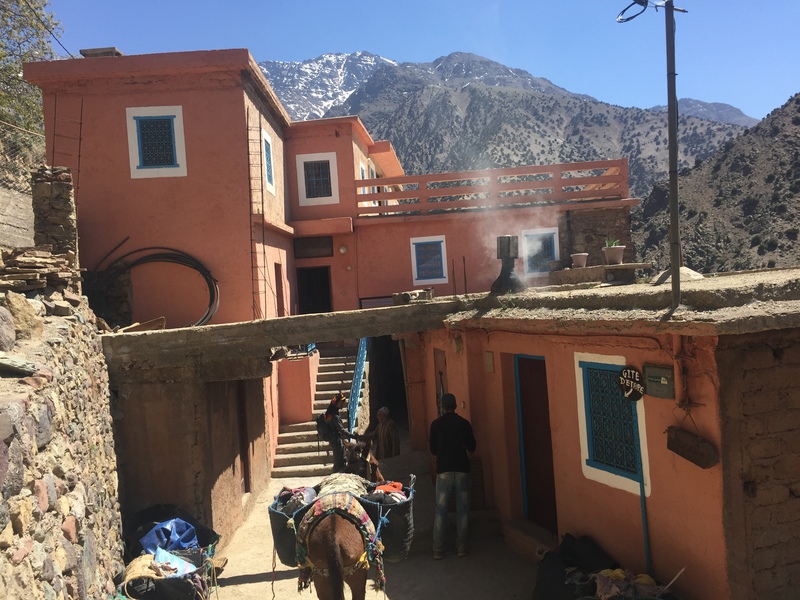 The price includes: All lodging, airport transfers, private transport from and back to Marrakesh, all meals, a Fit 4 Adventure guide, a local guide, a cook, mules (to carry luggage) & muleteers, Moroccan hot tea and bottled mineral water during the trek. 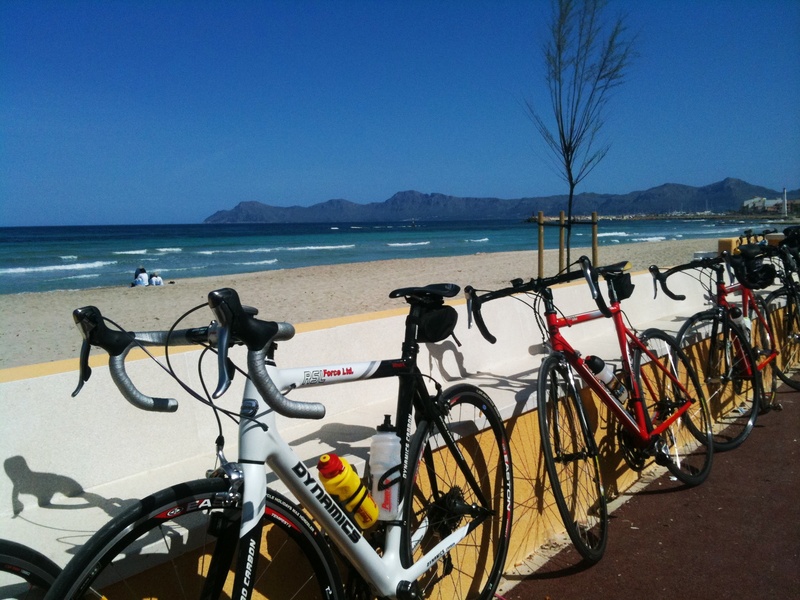 The price excludes: Airfare and luggage fees; single or private rooms, tips for guides, incidentals. Deposit: A $250 deposit is due when you book your trip. 2nd Payment: 50% of balance is due October 21, 2018. Final Payment: The remaining balance will be due January 21, 2019. Your deposit will become non-refundable after October 21, 2018. 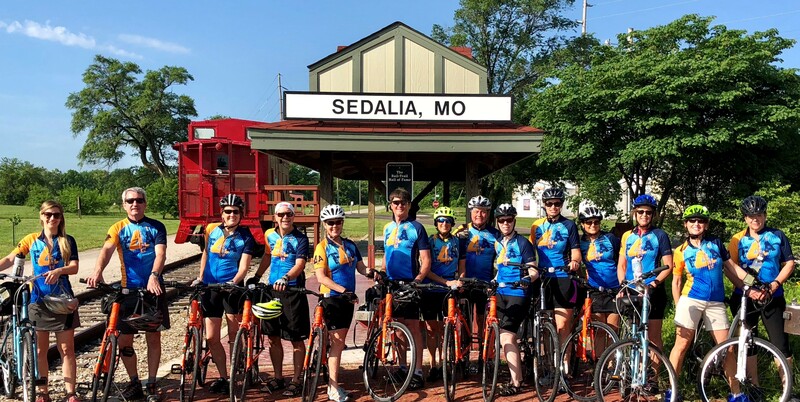 All other payments are non-refundable after January 21, 2019. 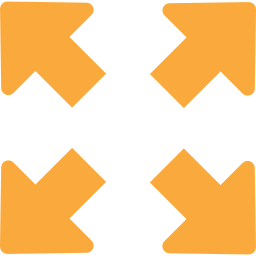 A private shuttle will meet us at the airport, for transfer up the Asni valley. 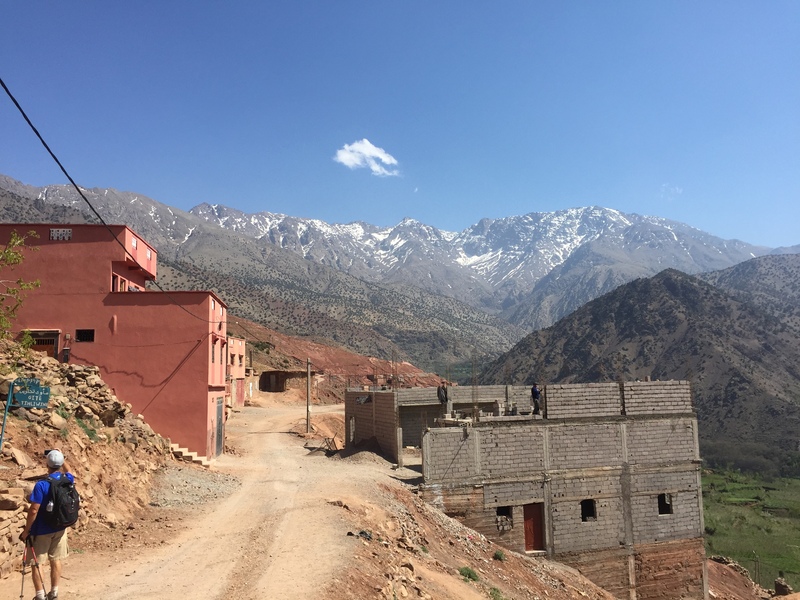 Overnight at a nice lodge in the village of Asni, in the foothills of the High Atlas Mountains. Before we start our trek, we must pick up from the lodge in Asni and drive about 15 minutes to the starting point in Imi Oughlad. 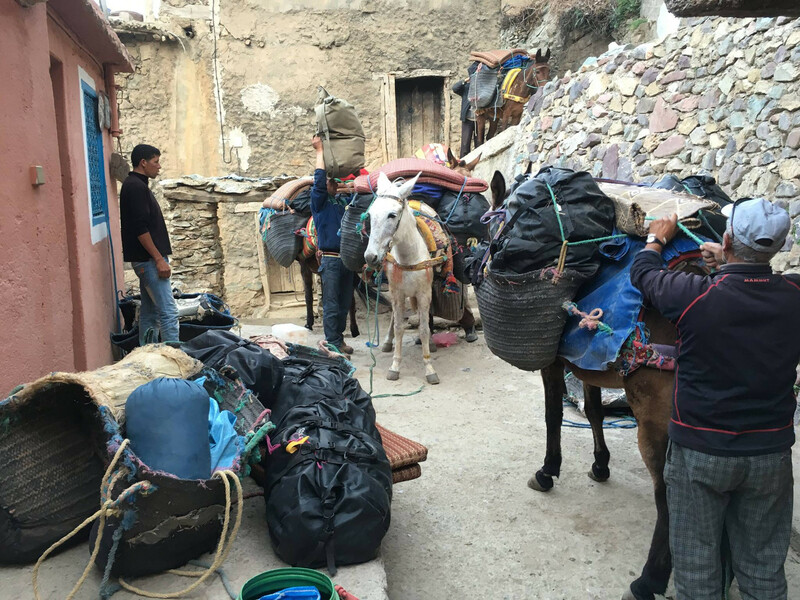 Here, we leave our vehicle and meet the team of guides, cooks, mules and muleteers who will make our trek much easier these coming days. 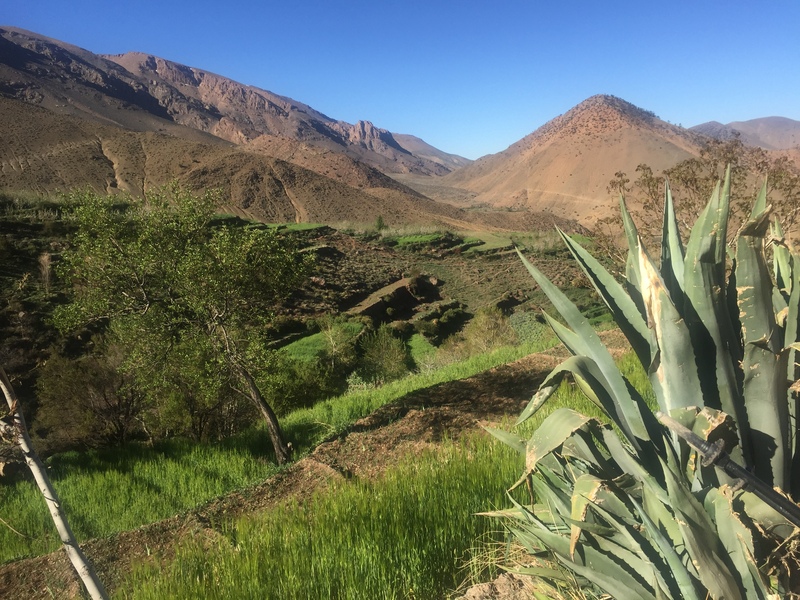 From the start, our trail crosses the town of Imi Oughlad before we begin the ascent towards the first mountain pass of the trek. 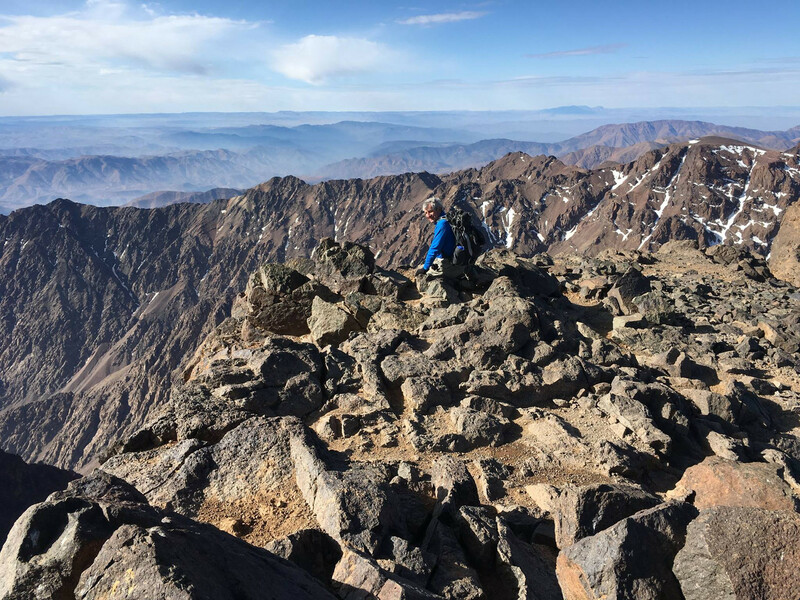 From the pass, at 6,562 feet above sea level, we have precious views of the regions of Tigouga, Taroudant, and of the Angour mountains to the north. 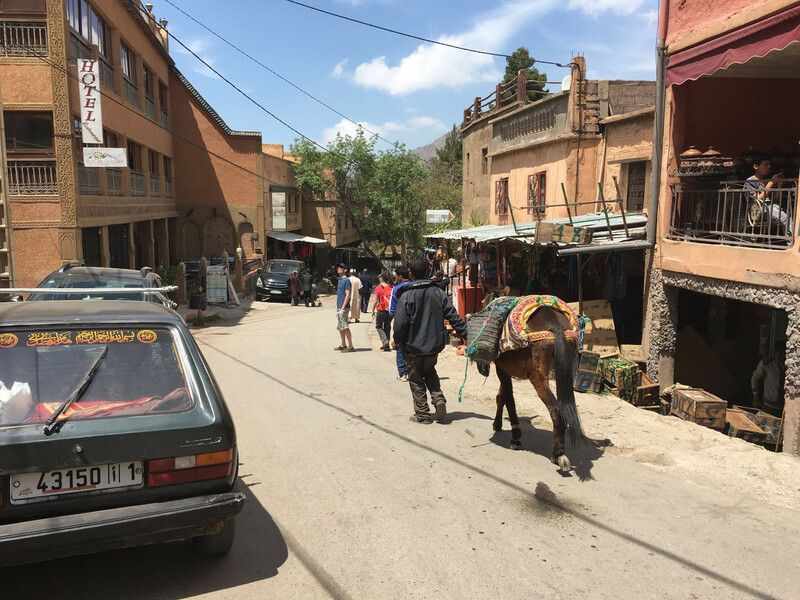 After a relaxing lunch break, we trek on to the village of Tahliouine where we will spend the night at a traditional Berber* guest house. Walking time: 4.5 to 5 hours. *Berbers are indigenous people of North Africa. 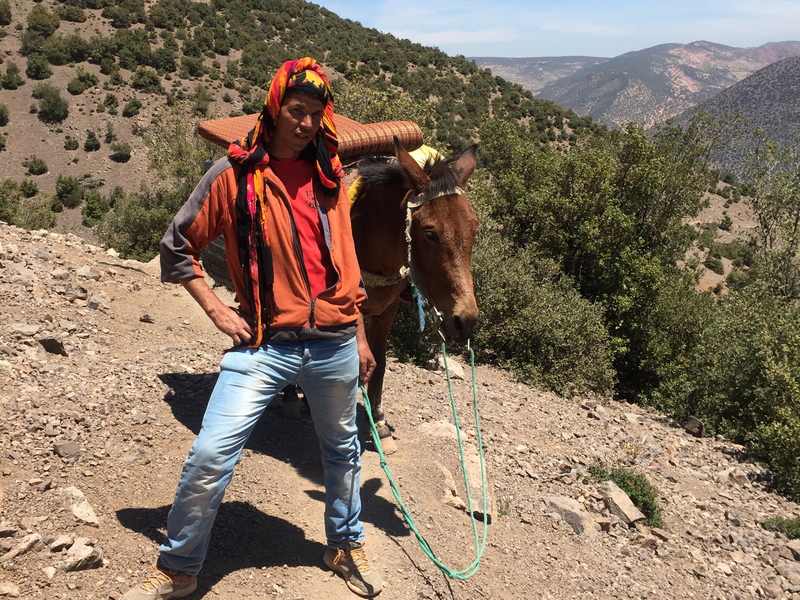 The majority of Berbers are settled farmers or migrant workers. 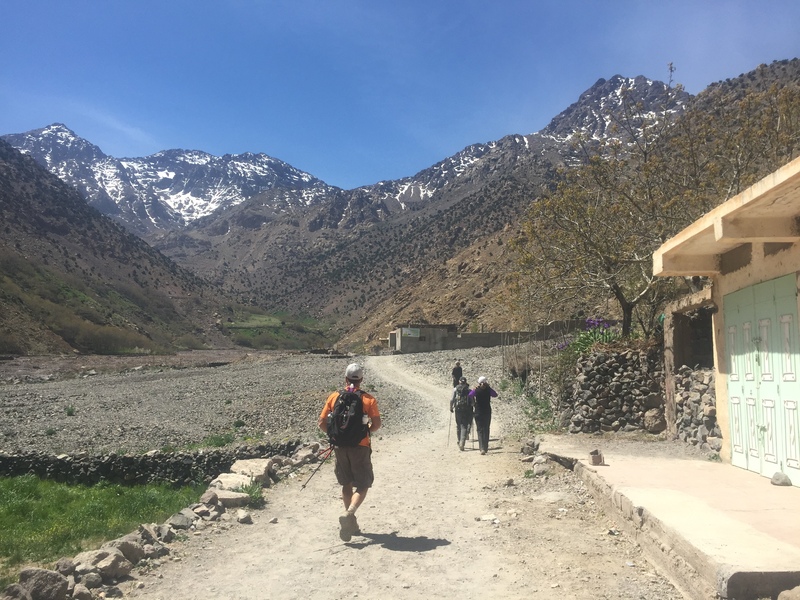 After breakfast, we embark on a trek towards Toubkal base camp. In some places, the paths are quite steep and narrow through the secluded mountains and over several passes. We will keep a comfortable, sustainable pace with frequent breaks. 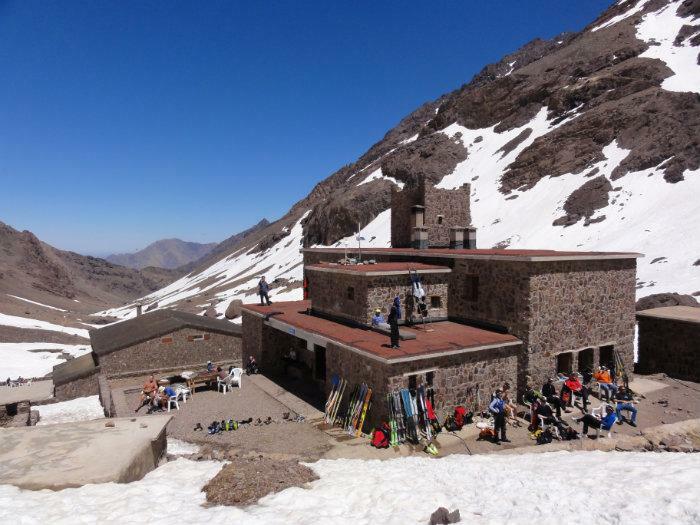 Awaiting us at Toubkal base camp is an elaborate mountain refuge for climbers, where we will meet many other adventurers, enjoy a hearty family-style meal, and retreat to our own private bunk room. Walking time: 5.5 to 6 hours. 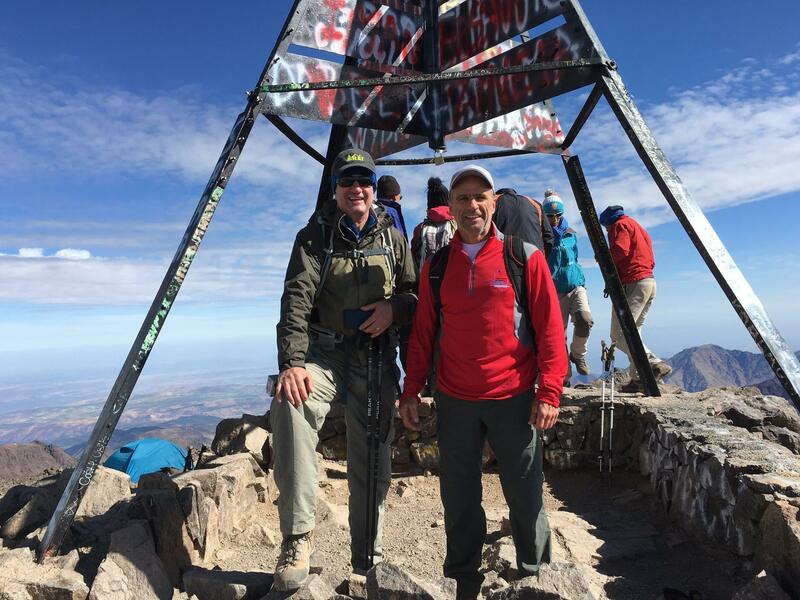 On the final trekking day, we start early and make the ascent of Mount Toubkal, the highest point in North Africa at 13,671’. From base camp, this represents a climb of approximately 3,150’. 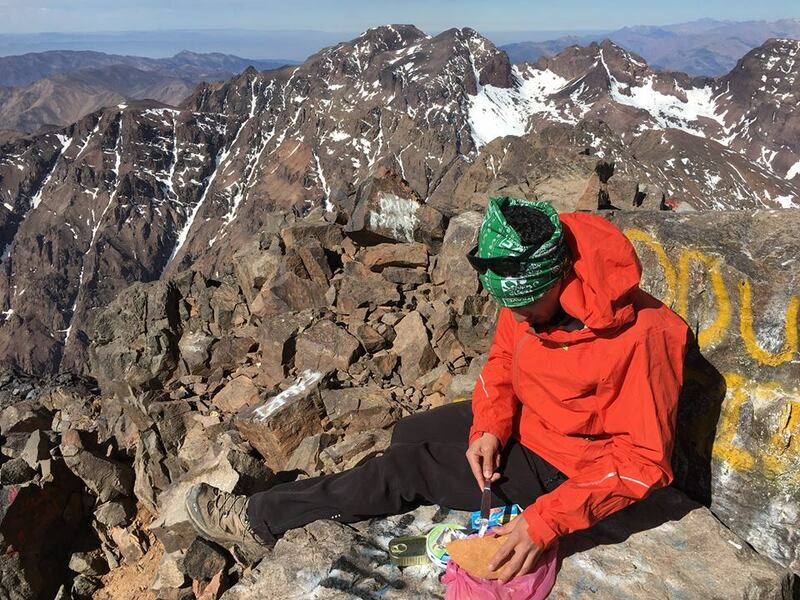 The climb is not technical but may involve some scrambling over scree fields and snowy slopes. 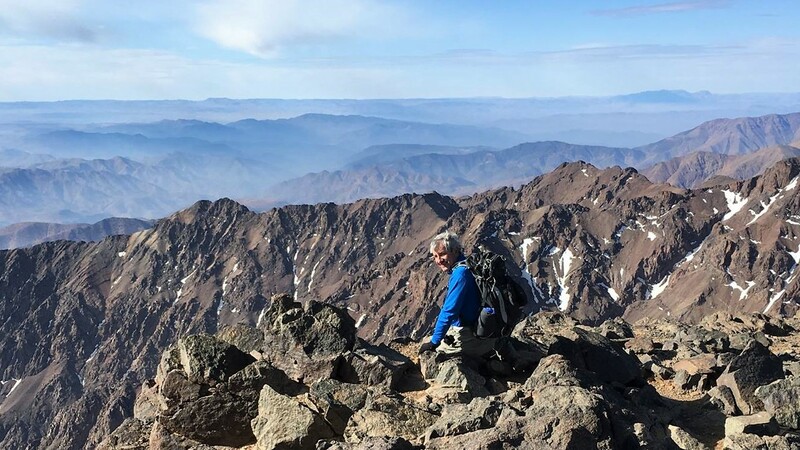 From the summit, we will soak in panoramic views and marvel at what lies beyond the other side of this impressive mountain range…the Sahara Desert! Walking time from the refuge to summit and back: 3 to 3.5 hours. 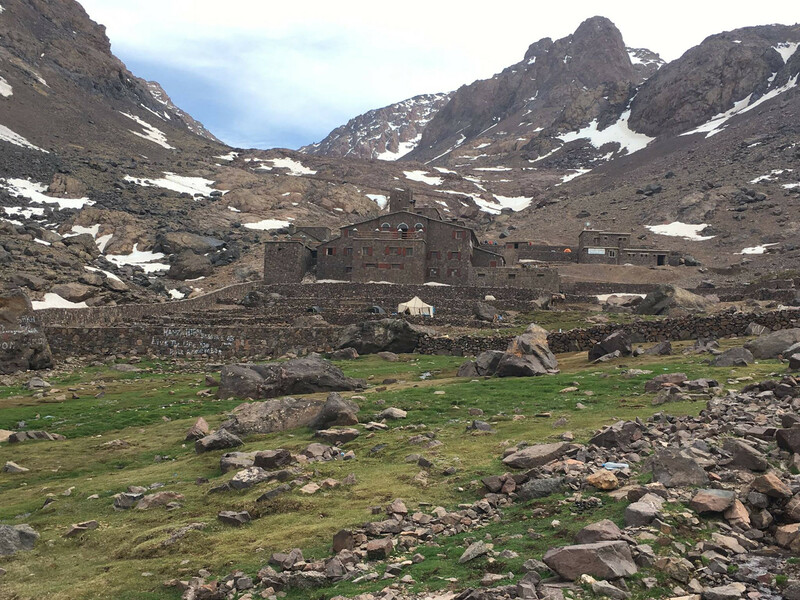 After a brief rest at the refuge we will gather our belongings and descend back towards the village of Imlil, where we stay the night. Walking time from refuge to Imlil: 5 to 5.5 hours. 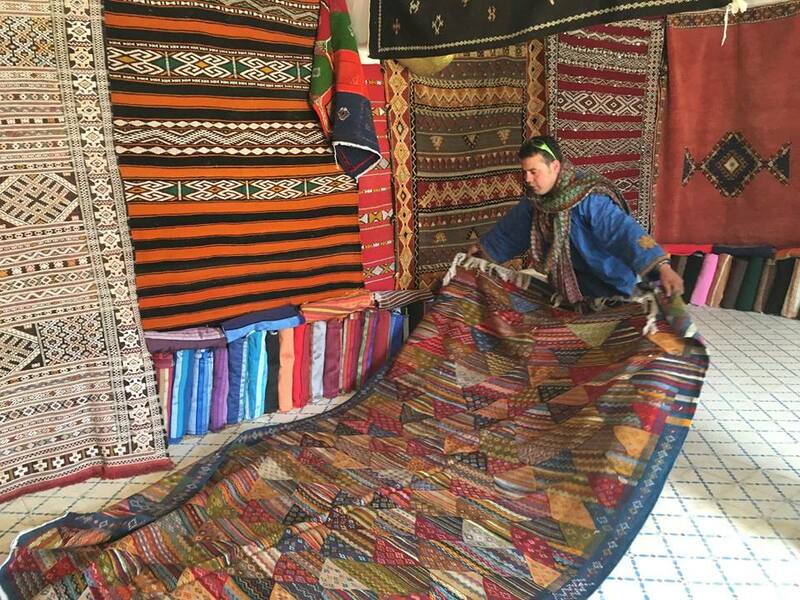 Morocco is well known for its hand-woven rugs so our trip would not be complete without visiting a local rug merchant in Imlil. These rugs are hand-made by the village women. They are stunning and you can get one at a great price! 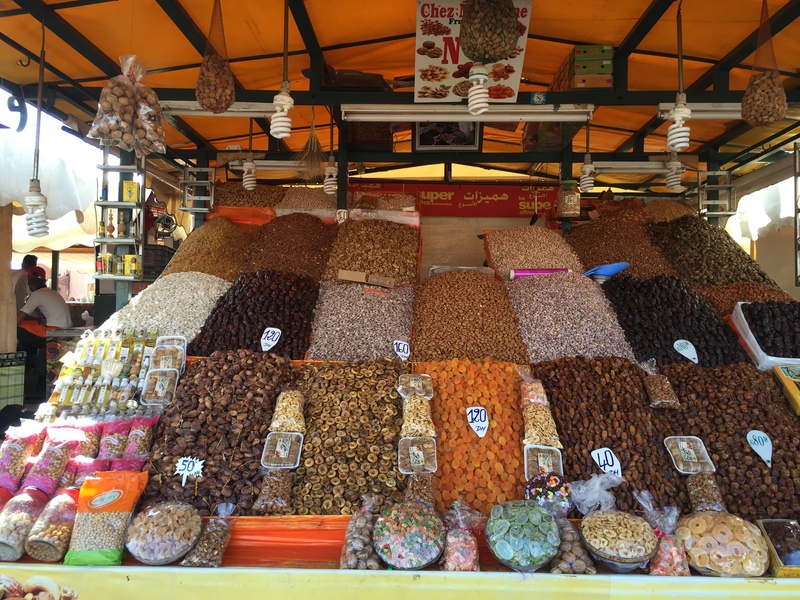 We’ll shop, then sit and sip some hot mint tea, then haggle over the price (it’s how they do it in Morocco). After a morning of shopping, we board our private shuttle for the drive back to Marrakech (1.5 hours). 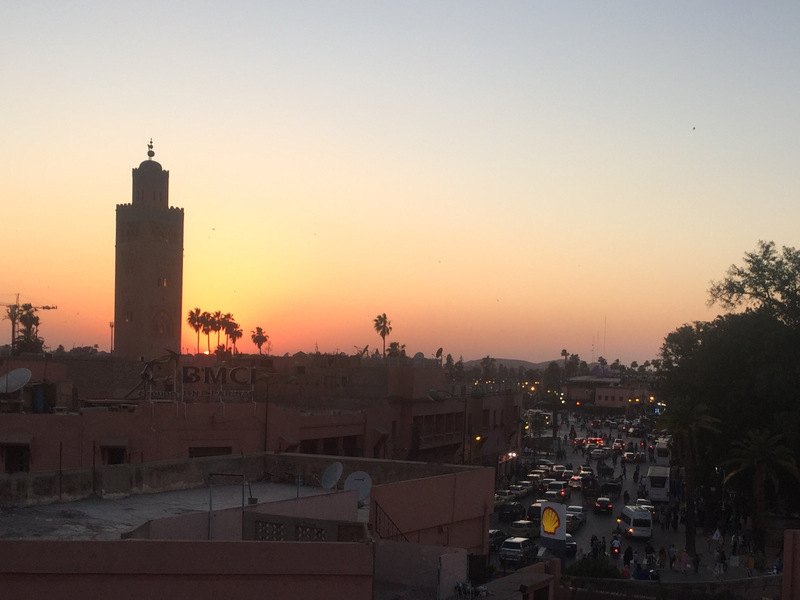 Once there, we check in at our beautiful, Riad*, drop the luggage then step out into the historic heart of Marrakech to explore its colorful and chaotic souks and squares. Our local guide will stay with us to make sure we discover the must-see highlights. 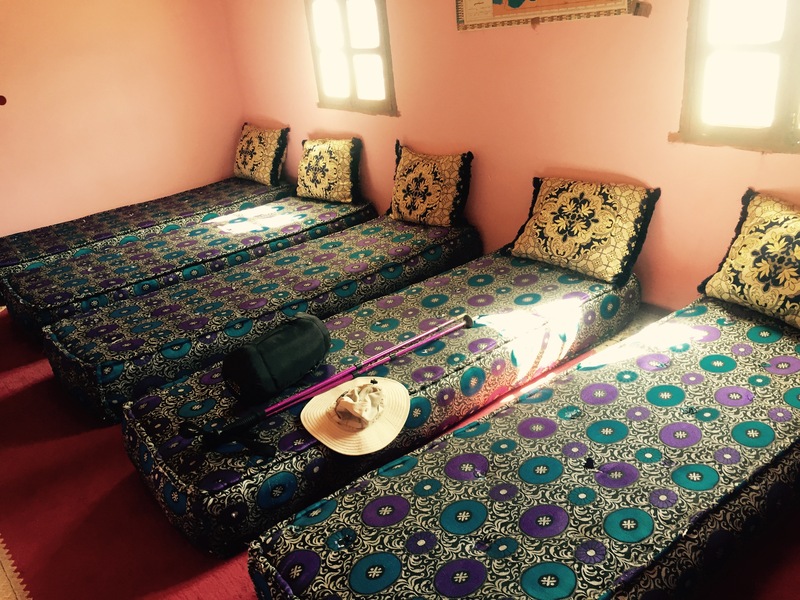 *A Riad is the Moroccan traditional house, normally with two or more stories around an Andalusian-style courtyard that contained a fountain. Riads were the stately city homes of the wealthiest citizens such as merchants and courtiers. 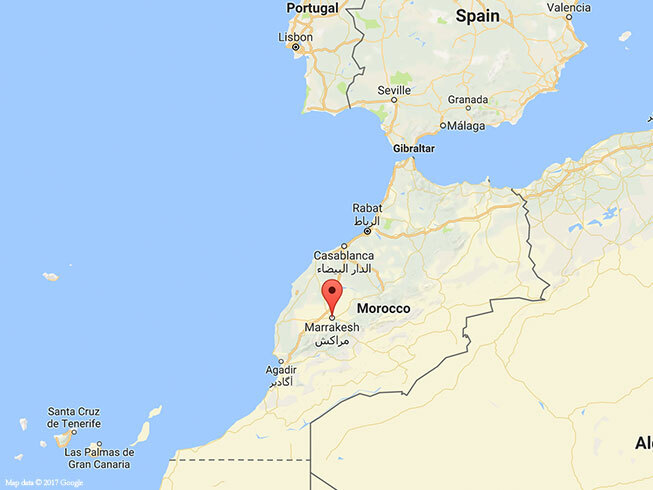 After breakfast, we will return to the Marrakech airport by private transfer and catch flights back home. This truly was the most memorable trip of my life. 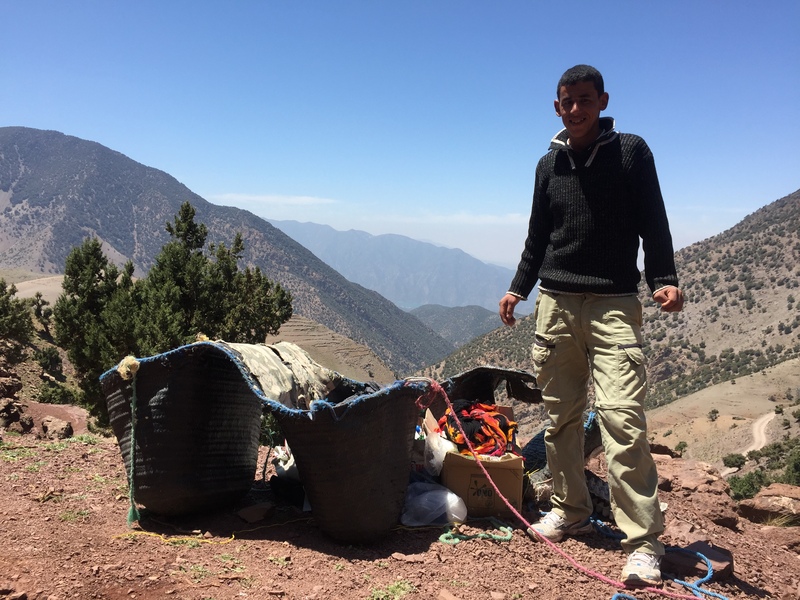 The six days trekking through the Atlas Mountains and being immersed with the local Berber people is beyond my ability to describe. Before this trip, when I thought of Morocco, images of sand dunes and camels came to mind. I was very wrong and I learned so much. Maybe you can find dunes and camels there, but not on this trip. 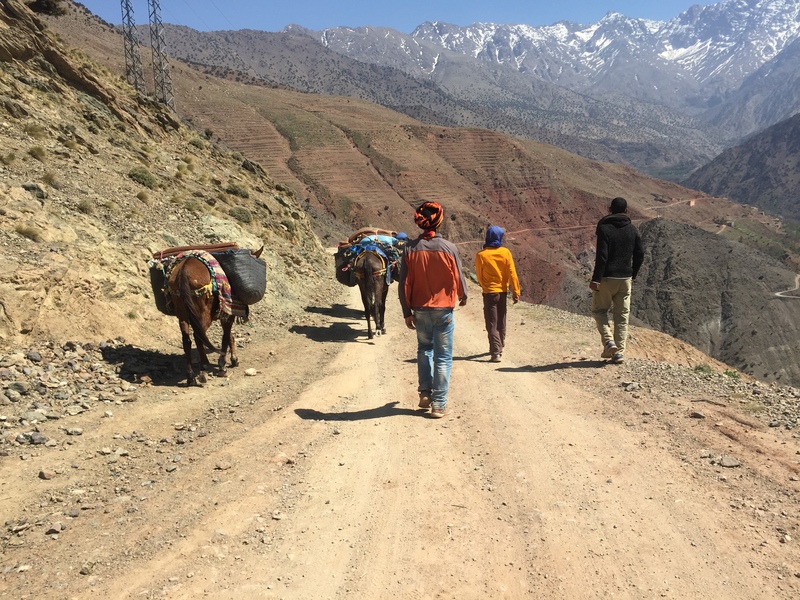 This trip was beautiful, rugged mountains and fertile, green valleys and friendly, fun people (and pack mules, not camels). 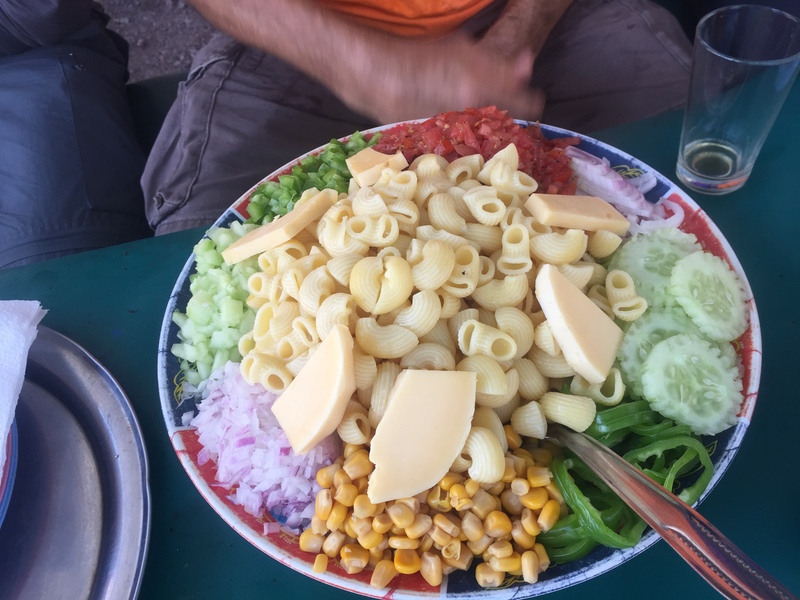 Three authentic Moroccan-cooked meals every day, evenings strolling through isolated Berber villages (there were entire days when we saw not a single gasoline-powered vehicle), occasional not-quite- like-home accommodations, interacting with the locals and other travelers, eyes being opened to a vastly different culture, and a lot of sometimes difficult hiking over rough terrain. I could say much more. This was a trip of a lifetime. It is one of the very few trips that I would do twice. 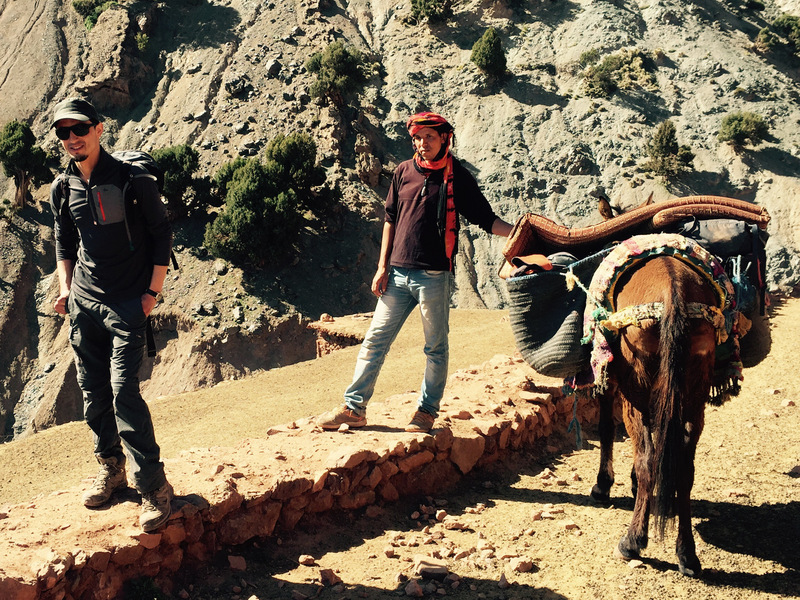 "Awesome" was the word that bonded us during our week of trekking thru the Atlas Mountains in Morocco, Africa. 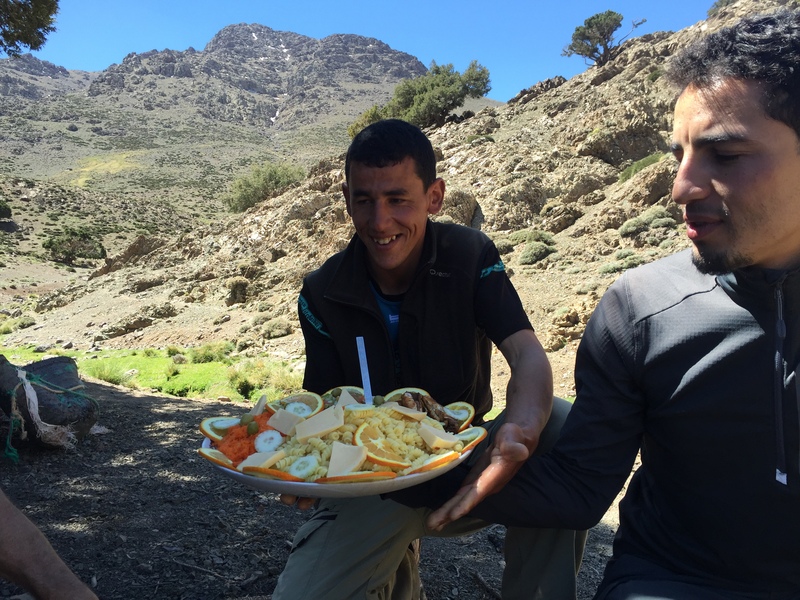 It summarized the trek, described our guide, Omar, and all the beautiful souls that we encountered along the way…and the delicious Moroccan cuisine. It was a strenuous trek, which challenged my fitness and endurance but rewarded me with amazing views. 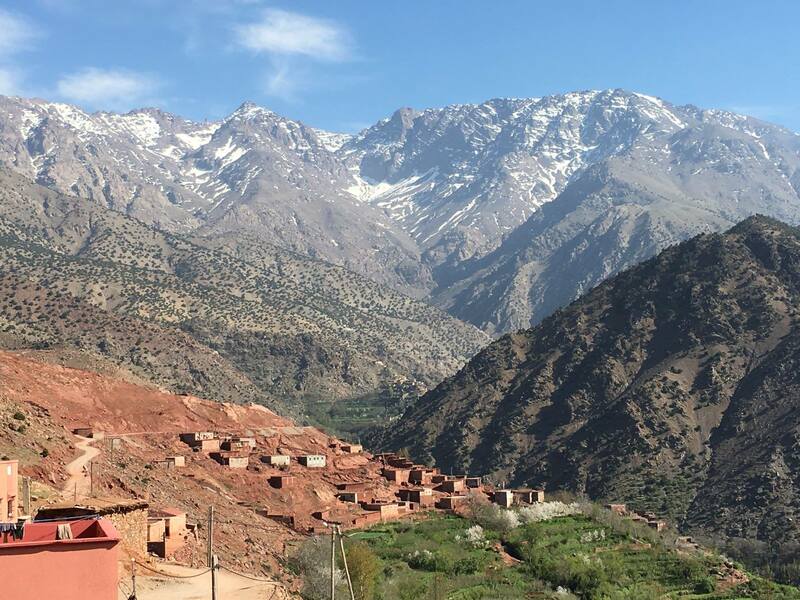 Grateful and blessed beyond words to have experienced the unique wonders of the beautiful country of Morocco, the Atlas Mountains and the kind, Berber people. A trip that reminded me that we are more similar than different and a smile is universal! !